That's a lot of energy. Let’s face it. Nuclear power isn’t going away any time soon. The International Atomic Energy Agency even predicts that overall nuclear power production will increase by 68 percent within the next 15 years. Setting aside the debate as to whether or not nuclear itself is a good alternative to fossil fuels, the process of securing its main ingredient is far from environmentally friendly. That ingredient is uranium, a highly-radioactive isotope that can be used to boil water to create steam that can be used to generate electricity. Globally, around 450 nuclear power plants use uranium, going through roughly 60,000 tons of the heavy metal annually. It’s a fairly common element, but the main issue is that uranium is typically retrieved by blasting a giant hole in the Earth’s crust and then extracting it from the surrounding waste. To avoid that, a team of researchers from Stanford University in California went to work on a better solution. The group was adamant about finding a much more environmentally friendly alternative to collecting raw uranium, so they developed a method to extract supplies directly from the ocean. Their findings are published in the journal Nature. As the uranium comes in contact with the oxygen from the ocean, it forms the compound uranyl. The researchers plan to collect the vast supplies by using amidoxime, a compound that would pull only uranyl from the water. The amidoxine coats a pair of carbon electrodes, which are able to accumulate large amounts of the uranyl that could then be sent off for processing. The team put their method to the test and found they were able to extract three times as much uranyl in an 11-hour period compared to their previous method of using only an amidoxine-coated brush. The new method also sustained the electrodes for future uses. 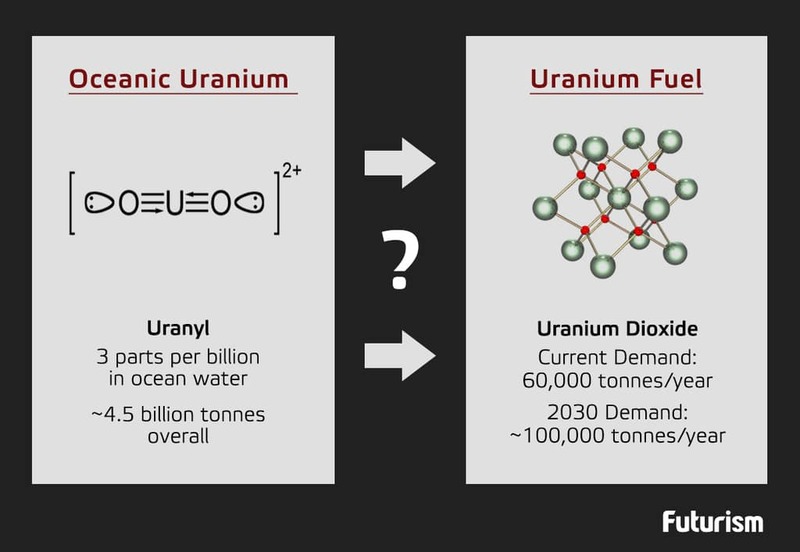 Although this study shows how feasible uranium collecting can be, much research still needs to be conducted in order for these methods to be enacted en masse. Unfortunately, it’s also currently much easier to gather uranium from the ground compared to the ocean. And the debate on whether or not nuclear is a good alternative to fossil fuels still remains. 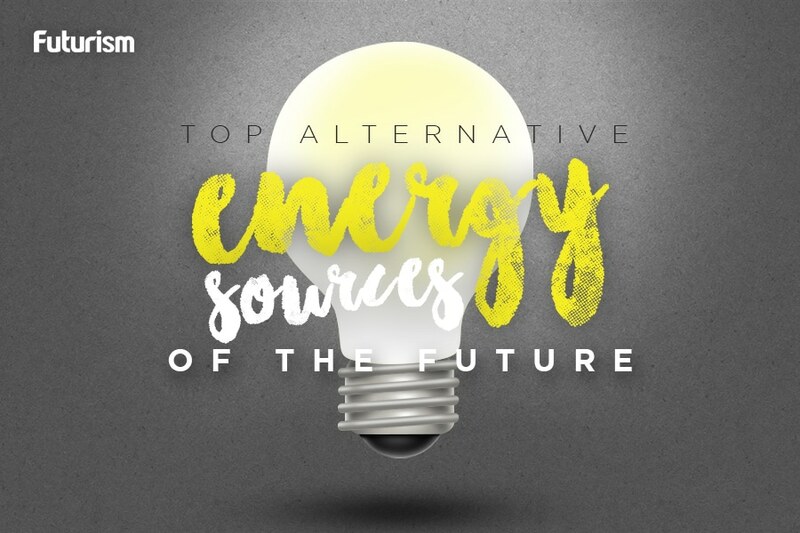 Although the process is carbon-free, converting uranium to electricity creates a lot of hazardous waste that’s difficult to dispose of. Nuclear accidents aren’t unheard of, and we definitely don’t want another Fukushima disaster to happen. If we’re looking strictly at carbon-free alternatives of energy production, nuclear doesn’t seem like such a bad choice at all if we can mitigate its downsides. At least we know that research to move us away from harmful fossil fuels once and for all is making progress.